HBO has released the first official teaser for My Brilliant Friend, based on the first installment of Elena Ferrante’s literary phenomenon Neapolitan novels. 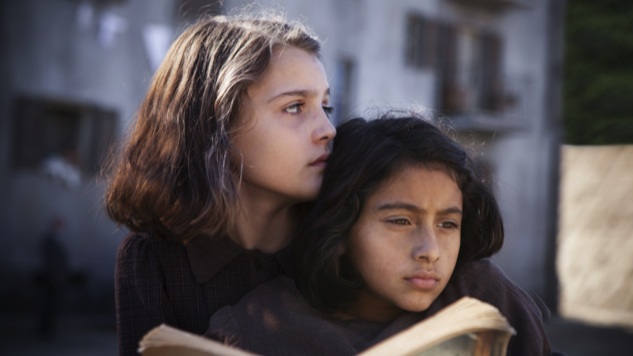 My Brilliant Friend, along with the rest of the novels, follows Elena and Lila, two intelligent, close childhood friends who come from the same rough Naples neighborhood, as they strive to escape their upbringings and create their own lives outside of the social restrictions they face at home. The new teaser foregrounds the relationship between Elena and Lila, who we see continue to keep in touch as played by different actors over time. The teaser also reveals some of the considerable struggles that these two women face in trying to break out of their cultural milieu, what with no shortage of authority figures trying to keep the bright young women from getting an education. The series was previously announced in 2016 as a joint Italian co-production, shot on location in Naples, with Ferrante’s involvement and plans to produce an eight-episode series for each of the series’ four installments. And based on what little we’ve seen, it seems that all this close attention to detail is going to pay off brilliantly in the much-anticipated adaptation. Getting Ferrante involved in the production seems to have been quite the task, especially with her still-intact anonymity and her wishes to communicate exclusively via email. The elusive Ferrante has somehow managed to remain anonymous despite the series’ wild international success, but for now at least, this new series should offer fans someplace to project their visions of the novels.